While observers in Minnesota await the fate of two separate court challenges to a proposed voter ID amendment, a federal court recently rejected an attempt to limit the use of Election Day registration (EDR) in the state for 2012 and beyond. Unlike the voter ID challenges currently awaiting a decision – which opponents claim would operate as a back-door repeal of EDR, the potential impacts of a direct challenge to Minnesota’s EDR system are concrete and definite. Over 18% of votes cast in 2008 and over 11% in 2010 were cast by Election Day registrants. Eliminating EDR would not eliminate all of these new voters, but it would certainly reduce those numbers – and require election officials to redesign their pre-election preparations. That isn’t likely to happen anytime soon, however, given that U.S. District Judge Donovan Frank rejected each and every argument in the complaint. Plaintiffs have said they’ll appeal – but for the time being, the future of Minnesota’s EDR system is probably more closely tied to the fate of the voter ID amendment than any direct challenge in federal court. It’s no Ohio, mind you, but Minnesota is definitely still worth watching between now and November. 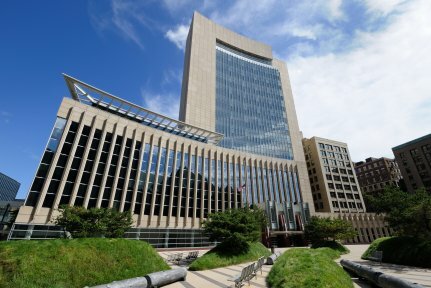 Be the first to comment on "Minnesota Federal Court Rejects Challenge to Election Day Registration"